We are currently seeking talented and highly motivated candidates to join our fast-paced, top producing team. As an Agent with The Riley Smith Group, you will receive training and coaching, learn how to utilize strategic systems, be given access to the industry’s best database platforms and cutting-edge marketing materials. Our team has closed over $675,000,000 in dollar volume, is ranked the No. 1 Team in Miami (per The Real Deal) and has been the No. 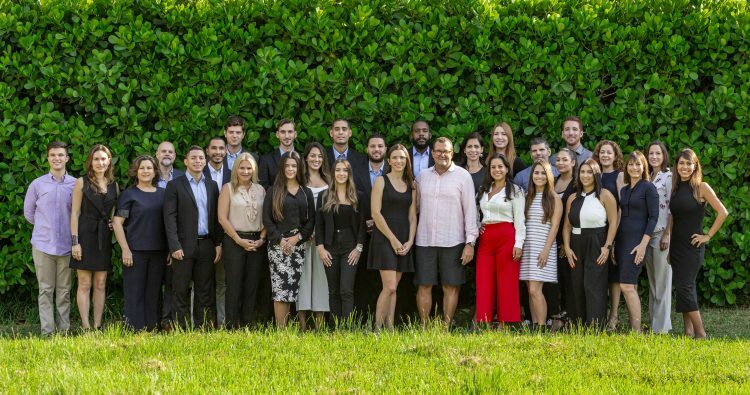 1 Team In Coconut Grove for 10 years and running. If you are a licensed Sales Associate, eager to learn and want to work with top agents then this is the position for you. We are looking for a talented candidate ready to hit the ground running and handle multiple transactions, clients and agent schedules all while under pressure in our fast paced world. Ready and willing to commit to 3-4 hours of daily prospecting & lead nurturing – you bring strong work ethic to convert our team generated buyer leads into sales as well as prospecting to generate your own pipeline. Must be able to handle rejection. Must be ambitious and have integrity! Local knowledge of the Miami area a MUST. Must be dedicated to continuously growing your skill set – we will give you resources to learn so there are NO excuses! NEVER STOP LEARNING. Must be structured or willing to GET structured. Your success depends on it! The Inside Sales Associate will respond to incoming leads from internet sources and call expired and For Sale By Owner listings while nurturing leads over time to ultimately foster them into qualified appointments. An ISA should be a customer service oriented individual that loves people and building relationships.